OmiseGo was one of the stronger gainers of this month, as it managed to go up from $6,71 USD at the beginning of July to $8,71 USD just a couple of days later. It has since lost almost a half of what it gained during that run, as it slowly bled out to the current levels of $7,70 USD. Today’s price of OmiseGo sits at $7,74 USD, which is a decrease of 4.87% in the last 24 hours. The token boasts a market cap of $789,639,960 USD and is currently holding the 21st spot of coinmarketcap’s list of most valuable cryptocurrencies. 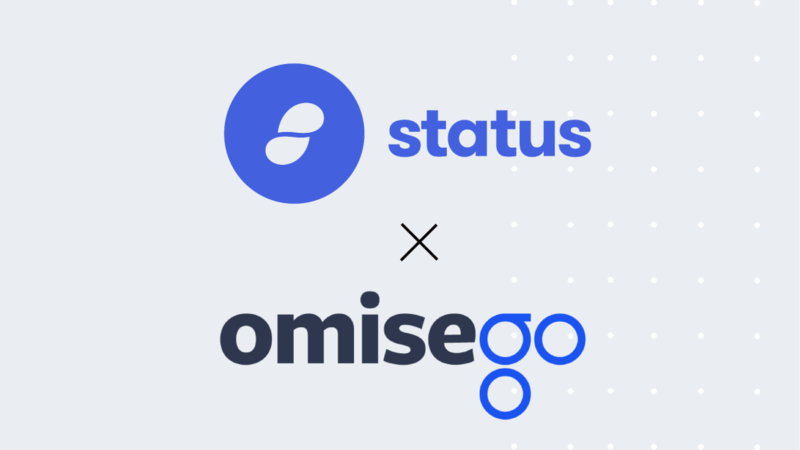 In recent news, OmiseGo partnered up with Ethereum-based mobile dApp browser and messenger called Status (SNT). The partnership will have these two companies work together on seamlessly integrating OmiseGo’s on-chain/cross-chain potential and Plasma capabilities into the Status network, creating an interoperable system that will be able to send transactions across multiple blockchains. “Status and OmiseGO share a common vision to make the world a more open and equitable place through easy access to the Ethereum public blockchain. While OmiseGO focuses on building open infrastructure and open financial tools, Status focuses on putting these tools into the hands and pockets of people around the world. We believe that accessibility to such decentralized exchanges will help force the shift away from incumbent social systems towards the use of cryptocurrencies and a viable global economy. OmiseGo is nearing the release of their DEX, which will be a scalable, secure, Proof-of-Stake platform letting you trade any digital asset you want. It will also enable transaction with digital fiat platforms and economies through collateralized fiat tokens. Alongside DEX integration, OmiseGo’s Plasma-based wallet will be integrated into Status wallet as well. The Status Beta has been released just a couple of weeks ago.